Home / Blog / What is Traffic Calming? Are Bollards Effective? One of the most common products used to calm traffic are bollards, both permanent and portable. We offer both, but decided to focus this blog article on the moveable bollards as they allow for flexible traffic calming and are great for stadiums, concert venues and other high traffic areas that require changing traffic delineation. Large planters are also commonly used to calm traffic in busy pedestrian areas. Dawn Enterprises manufactures moveable bollards which are used in hundreds of applications across various different industries. 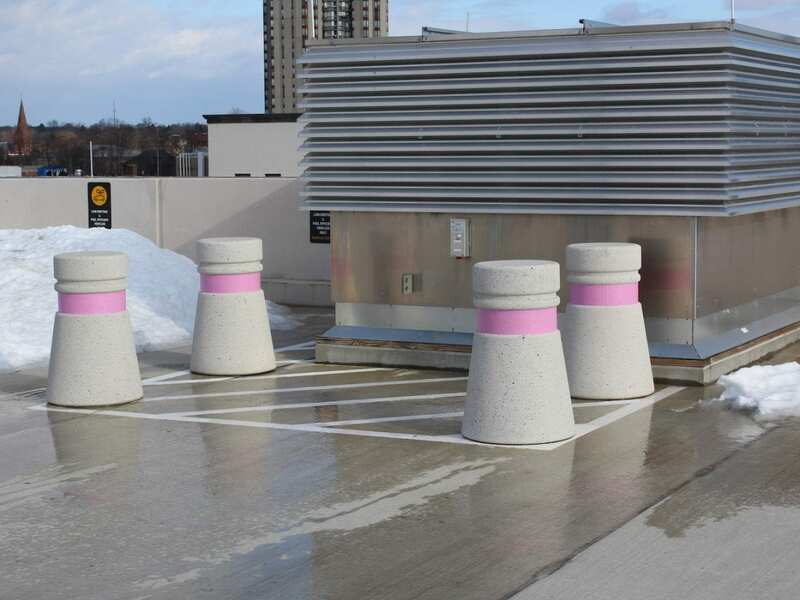 These portable bollards are particularly useful for streetscape changes and visual cues. 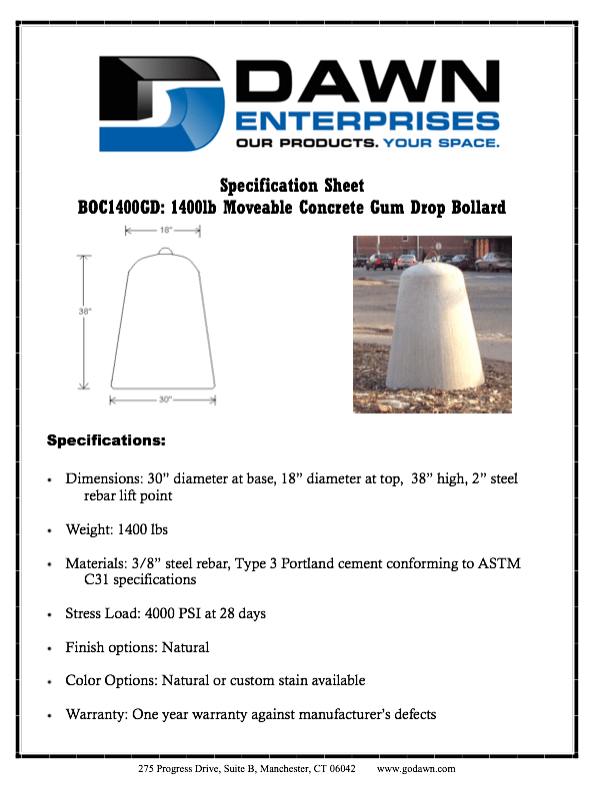 Dawn bollards are installed at construction sites, parking garages and embassies all over the world. 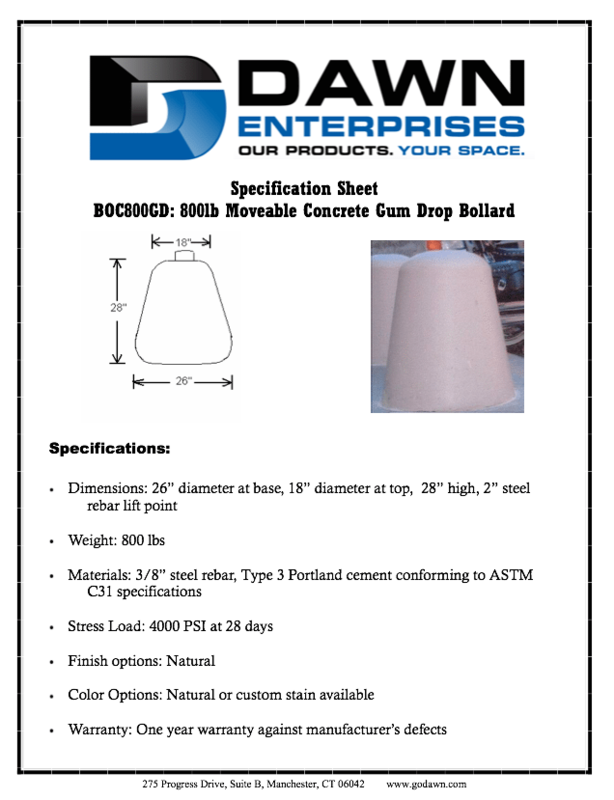 We offer 3 moveable bollards; images and basic product information below. If you wish to learn more call us today at 1-800-262-3296. 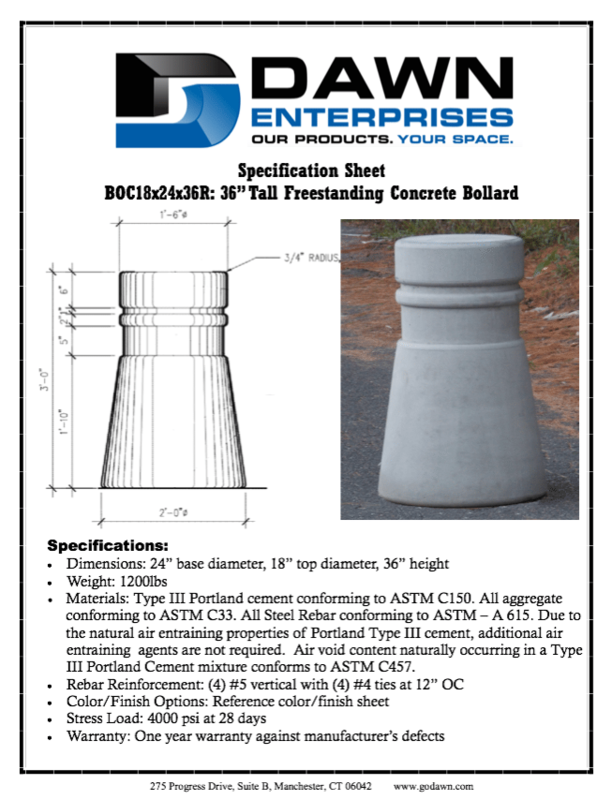 We also offer an entire line of concrete and steel bollards.